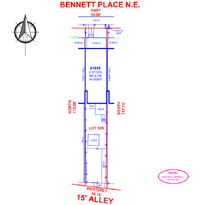 These surveys are required by title companies, lenders, and some county permit departments. 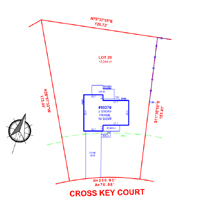 If you are securing a loan or in some cases if you need a permit for a simple addition, sun room, or deck, this survey may suffice, however if the addition is to include a bathroom, kitchen, or substantially increase the size of the home, the county may require additional surveying and engineering work. 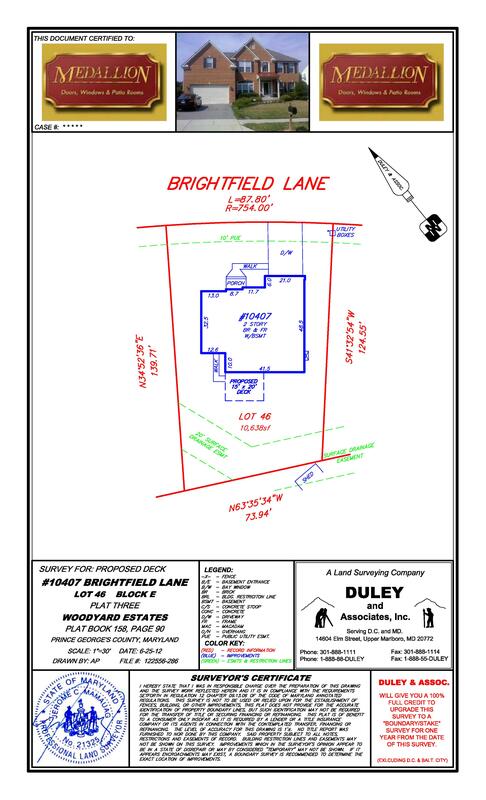 This survey does not identify property lines. 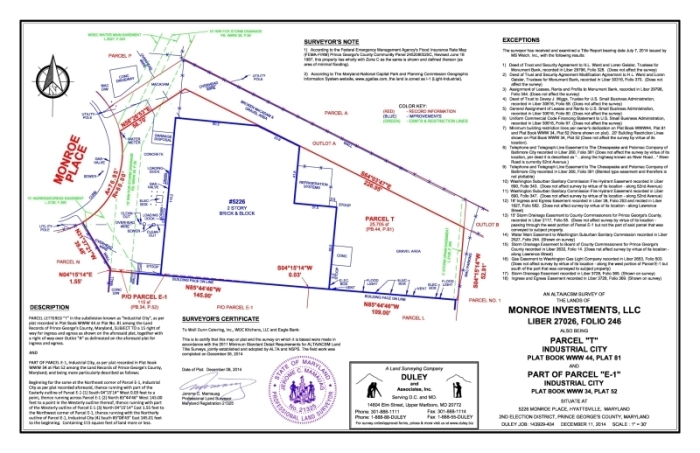 A boundary survey will include a "Location Drawing" and will mark your property boundary corners. This is a much more thorough and therefore accurate survey. It will require multiple trips to your property. 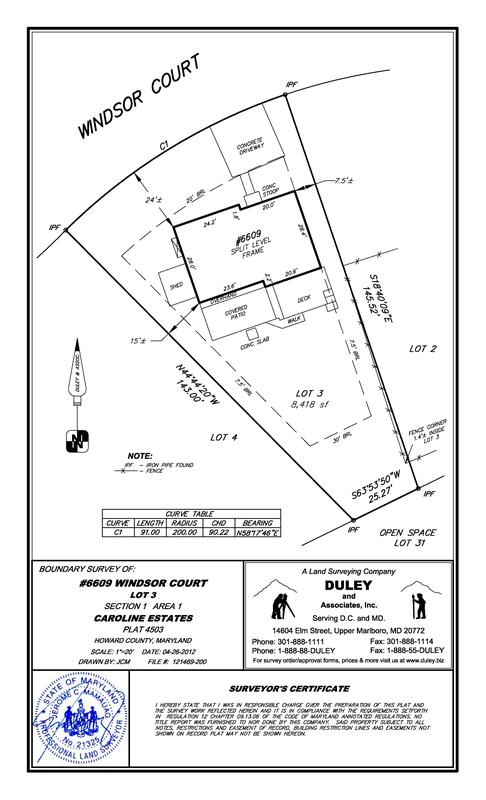 This is the survey that you need if you are putting up a fence, having a boundary line dispute, or are going to court over your property boundaries. This survey is not required for settlement purposes. ALTA/ACSM Survey: a surveying standard jointly proposed by the American Land Title Association and the American Congress on Surveying and Mapping that incorporates elements of the boundary survey, mortgage survey, and topographic survey and are usually required for commercial property. Usually needed for obtaining permits for decks, additions, sheds, etc.